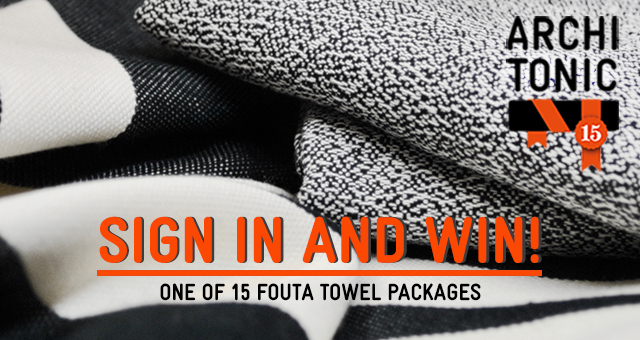 As part of our 15th-anniversary celebrations, this month you can win one of 15 FOUTA towel packages! To take part, just sign up for our three newsletters – Architonic Report, Brand Essentials and the Dailytonic Newsletter. If you're already a subscriber, you can still take part. Just fill in this form!